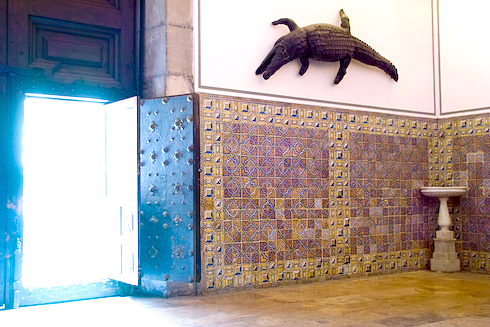 The Colegio del Patriarca’s oldest inhabitant lives in the atrium, sleeping on the wall above the holy water. Meet the infamous “Dragon of the Patriarch”. Legend holds that in the first half of the 13th century, when Valencia was still small and encased within its Moorish walls, a dangerous dragon kept its lair in the bed of the river Turia, attacking foolish passers-by with insatiable voracity. Nothing was able to stop the beast, not the sharpest arrows, the best lances, not even exorcisms. 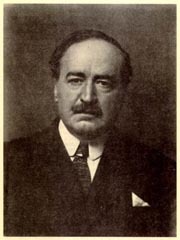 One day, a foreign, vagabond Jew who had been condemned to death for his grievous crimes pleaded with the city to spare his life. In exchange, he would slay the dragon. Not believing him capable, and bound to die anyway in the attempt, the city granted his request. For weeks, the Jew locked himself in his house working in secrecy on his grand weapon, until one bright and sunny day, he emerged clothed in a brown robe with a hood covering his head. Through disbelieving onlookers, he made his way to the riverbed and the mouth of the reptile’s lair. The dragon, sensing another easy kill, wasted no time in attacking the valiant Jew, who threw off his cape and hood at the last minute. Revealed underneath was an armor made entirely of mirrors which caught and reflected the bright rays of sun, so blinding and dazzling the dragon that it opened its jaws in instinctive defense. The Jew then produced a lance and struck the beast in its jowl once, twice, thrice… Seeing their invincible foe thusly handled, the rest of the citizenry leaped upon the dragon, putting a final end to the nightmare of Valencia. This is the legend, popularized by the famous Valencian author Blasco Ibáñez in one of his many stories about the city. 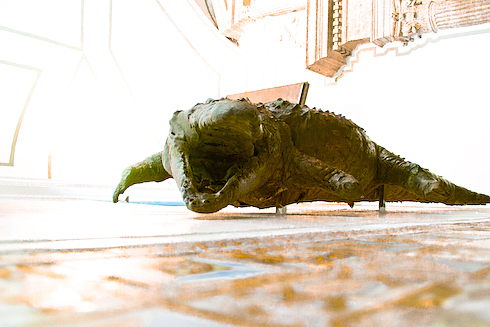 In truth, though, the stuffed, giant crocodile is one of two brought back to Spain in 1606 from Peru by the Marquis of Monterrey, and placed on the wall of the chapel to symbolize silence. Go check out the Dragon of the Patriarch yourself!